The finding recorded by the courts below which have been concurred by the High Court that the parties having been judicial separated, the appellant wife has ceased to be an “aggrieved person” is wholly unsustainable, the Apex Court bench said. A lady who has been fighting to get her ‘Stridhan’ back, from her husband and relatives, finally gets relief from Supreme Court. The Magistrate, Sessions Court and the High Court had refused to give her the relief citing technicalities. Supreme Court of India bench of Justices Dipak Misra and Prafulla C. Pant held that only because a decree of Judicial separation is passed, a wife does not cease to be an ‘aggrieved person’ for the purpose of Domestic Violence Act. After the judicial separation, the wife filed an application under Section 12 of the DV Act, before the Child Development Protection Officer (CDPO) who forwarded it to Magistrate. Magistrate opined that opined that no “domestic relationship” as defined under Section 2(f) of the 2005 Act existed between the parties and, therefore, wife was not entitled to file the application under Section 12 of the 2005 Act and dismissed the application. On appeal, the Sessions judge concurred with the Magistrate. Revision was preferred before the High Court which was also declined. The Court said that once the decree of divorce is passed, the status of the parties becomes different, but that is not so when there is a decree for judicial separation. The bench referred to an Apex Court decision in which it has been held that “living in adultery on the part of the husband is a continuing matrimonial offence, and it does not get frozen or wiped out merely on passing of a decree for judicial separation”. The court said that there is a distinction between a decree for divorce and decree of judicial separation; in the former, there is a severance of status and the parties do not remain as husband and wife, whereas in the later, the relationship between husband and wife continues and the legal relationship continues as it has not been snapped. The bench said that the finding that the parties having been judicial separated, the wife has ceased to be an “aggrieved person” is wholly unsustainable. The Court also observed that as long as the status of the aggrieved person remains and stridhan remains in the custody of the husband, the wife can always put forth her claim under Section 12 of the 2005 Act. “The concept of “continuing offence” gets attracted from the date of deprivation of stridhan, for neither the husband nor any other family members can have any right over the stridhan and they remain the custodians.” the bench said. 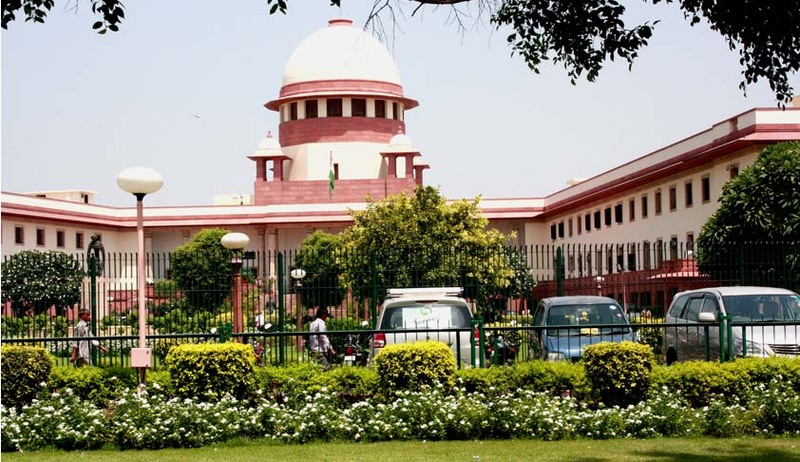 The Apex Court also said that a sensitive approach is expected from the courts before dismissing a petition under DV Act on the ground of maintainability. The court added that there has to be an apposite discussion and thorough deliberation on the issues raised, before dismissing such petitions. It should be borne in mind that helpless and hapless “aggrieved person” under the 2005 Act approaches the court under the compelling circumstances. It is the duty of the court to scrutinise the facts from all angles whether a plea advanced by the respondent to nullify the grievance of the aggrieved person is really legally sound and correct, the bench said. The court also said that the principle “justice to the cause is equivalent to the salt of ocean” should be kept in mind. The court of law is bound to uphold the truth which sparkles when justice is done. Before throwing a petition at the threshold, the court said that it is obligatory to see that the person aggrieved under such a legislation is not faced with a situation of non-adjudication, for the 2005 Act as we have stated is a beneficial as well as assertively affirmative enactment for the realisation of the constitutional rights of women and to ensure that they do not become victims of any kind of domestic violence.